I have lemon for you today! Because I still haven’t gotten tired of the citrus theme – winter weather and citrus are just made for each other. Besides that, meyer lemons are perfect right now and I’d be crazy not to get on that (again). We’re also enjoying a break in the rain — though I do love rainy weather, it’s good to dry out a little in between and enjoy the sun. Today is absolutely beautiful: sunny weather for sunny dessert! I caught one of the brightest rainbows I’ve ever seen during the last rains! I made torta di riso a few years back with blood oranges — this riff uses meyer lemons instead for a taste that is very citrus-forward. I love any rice based desserts so this is an easy sell for me, but regardless – the rice has a great chewy texture that contrasts nicely with the airy, eggy custard. 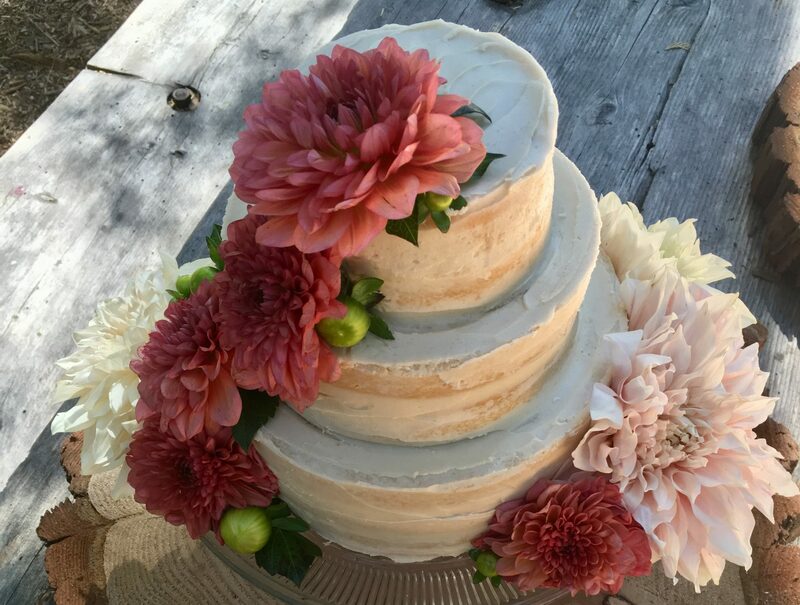 This cake is Tuscan in origin I believe, and is usually described as a rice custard cake – completely appropriate. It’s lighter and fluffier than a baked rice pudding, but still has that all-important chewy rice-ness. Excellent for breakfast, if I do say so. A heads up – this is not for those who aren’t a fan of citrus or who prefer very sweet desserts! 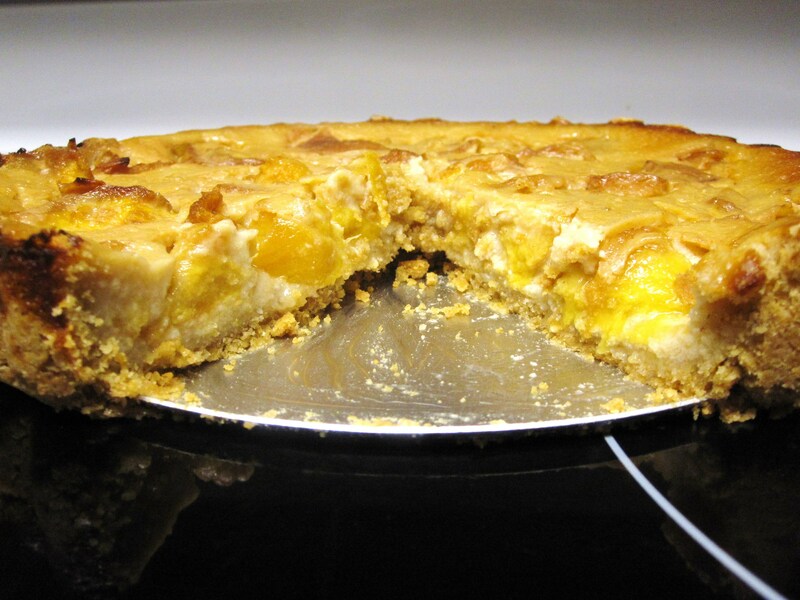 It is a very, very mildly sweet dessert, with more citrus-tart flavor profile than sweet. It was definitely a big hit over here, but we’re citrus & rice nuts so that goes without saying. Delicious with ice cream for dessert or a bit of jam for breakfast. 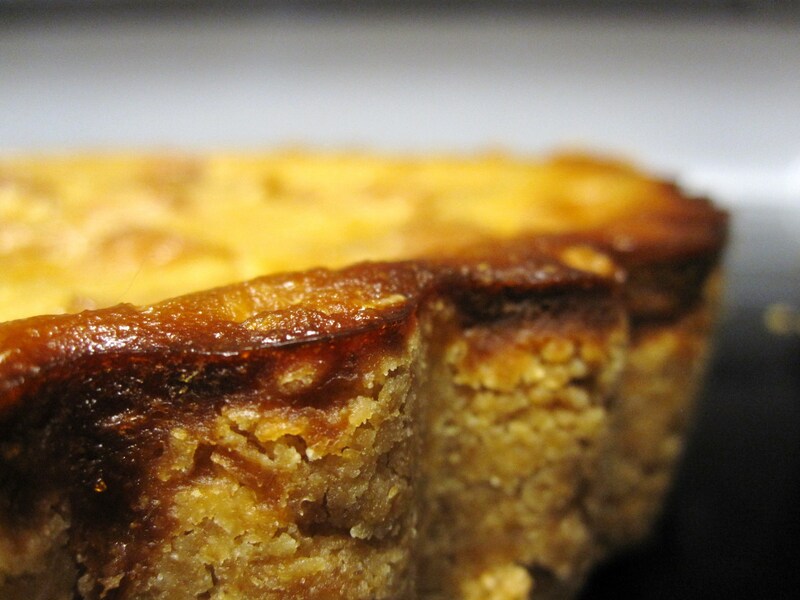 Lightly sweet Tuscan rice custard cake. Gluten free, dairy free, refined sugar free. Delicious served with ice cream for dessert or jam for breakfast! Yield: 1 9″ pie plate; serving size is left to your discretion ;) Recipe adapted from my previous blood orange incarnation, here, and from Cafe Lynnylu, here! Lightly grease your pie dish with coconut oil and set aside. In a saucepan over medium heat, bring the coconut milk to a boil. Add in rice and salt, and reduce the heat to a simmer. Simmer for about 10 minutes, stirring occasionally. Then begin stirring continuously for another ~10 minutes, until the rice has absorbed the milk (the rice should be chewy but not underdone). Remove from heat and stir in vanilla. Let cool for a few minutes. Add the rice to a larger bowl, and stir in almond meal, lemon zest and juice, and coconut sugar until combined. Whisk in egg yolks. In a non-reactive bowl (I use the bowl of my stand mixer, with a handheld electric mixer), beat the egg whites until they hold stiff peaks. Fold them into the rice mixture. Once incorporated, pour all this goodness into the prepared pie dish. Bake in the center of the oven for 30-35 minutes, until a tester comes out clean. If the top browns too quickly, cover it with foil. The cake develops somewhat of a crust as it bakes, so be sure to test the middle and make sure it’s done – the tester should come out clean, but sometimes it’s tricky to tell. Let cool before serving and serve warm or at room temperature (or cold, I like it all three ways). Garnish with shredded unsweetened coconut and meyer lemon segments if desired. Leftovers keep well in the fridge, covered. This tart is a lesson in what dessert sometimes should be: an aesthetically pleasing, sloppy, delicious mess. Because sometimes dessert should just be eaten out of the pan it was baked or assembled in, with two spoons and happy grins. Or, you could attempt civilized plating (as I did) when you consume it for dessert, with a hasty decant into bowls topped with ice cream. Which is perfectly acceptable. 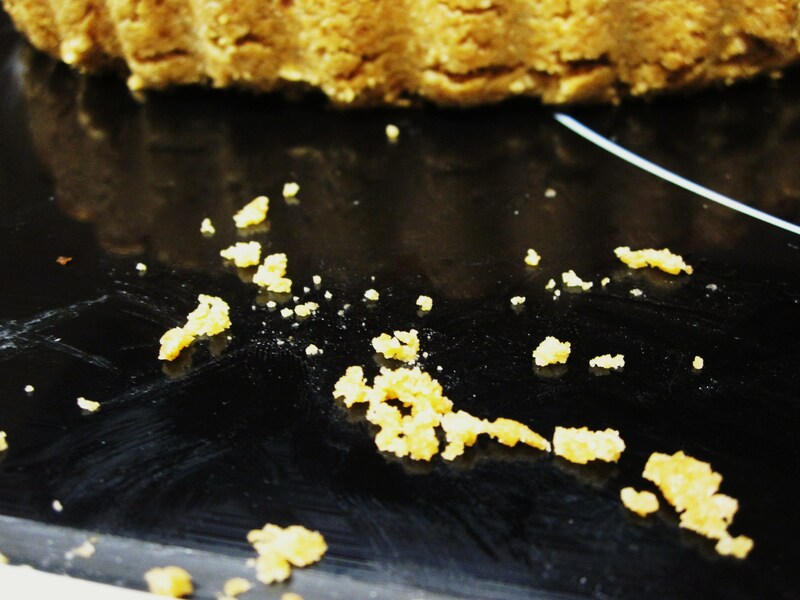 Until the next morning when you peek at the custard tart that’s been hangin’ in the fridge overnight and notice that the custard has decided to attempt an escape outside its proscribed bounds, at which point you decide to eat it out of the pan with spoons. Wise and delicious decision! Sometimes, you need a less than perfect dessert. Messy, delicious and less than perfect is exactly what this tart is. You’ve been warned! Indulge accordingly. In other news, I completed another year on this earthplane, and celebrated accordingly at Gary Danko! Nowhere else am I going to sit down to a four course dinner with two desserts. Shockingly, I didn’t even need a wheelbarrow to leave…. I consider this a success all around. Thanks to everyone who made my birthday weekend such fun! Y’all are so rad. Hmm, what else. It’s officially autumn! Which means apples, scarves, boots, and pumpkin. And baking. Except that the Bay has decided to have a heat wave these last few days, which means baking is totally off the table until it gets back down into the 80s, at least. Since when do I wear a dress and no jacket in San Francisco all evening?! Since never… until yesterday! Reason number one to eat messy, cool, creamy dessert that can be had with minimal baking and heating of the kitchen! More drawing! A wee bit of dome practice with the beautiful San Francisco city hall. Nighttime cityscapes are so beautiful. 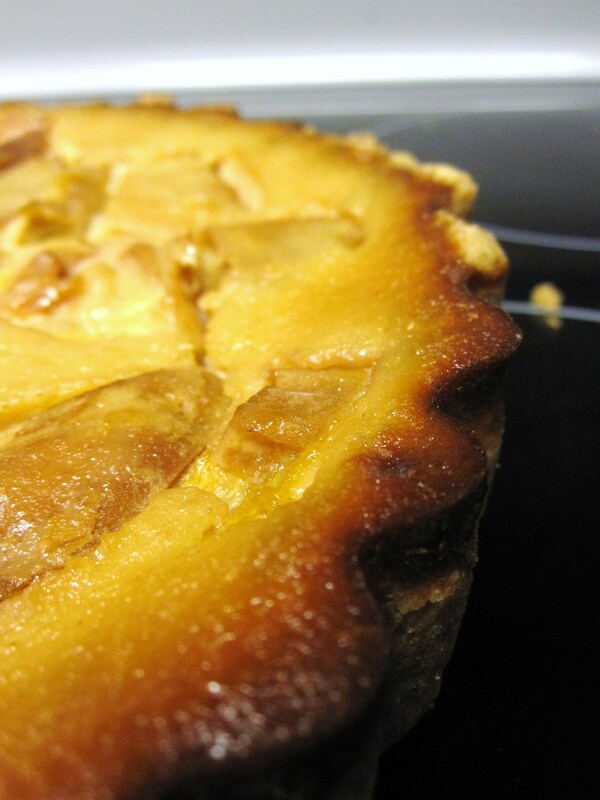 This tart presents beautifully but once cut, devolves into a sloppy, delicious mess. But, fear not! Just grab a spoon and eat it straight from the pan. Messy and delicious, just how dessert should be. Lightly sweet, creamy and an appropriate amount of crust. Refined sugar free, grain free, gluten free, paleo & dairy free with one small swap (coconut oil for butter in the crust). Yield: 1 10″ pie pan of the deep variety; serves as many as you feel like sharing with. Recipe adapted from Hip Foodie Mom, here! Because the custard needs to sit and chill in the fridge after cooling for at least 2 hours, I made this a day ahead and let it hang out in the fridge overnight. 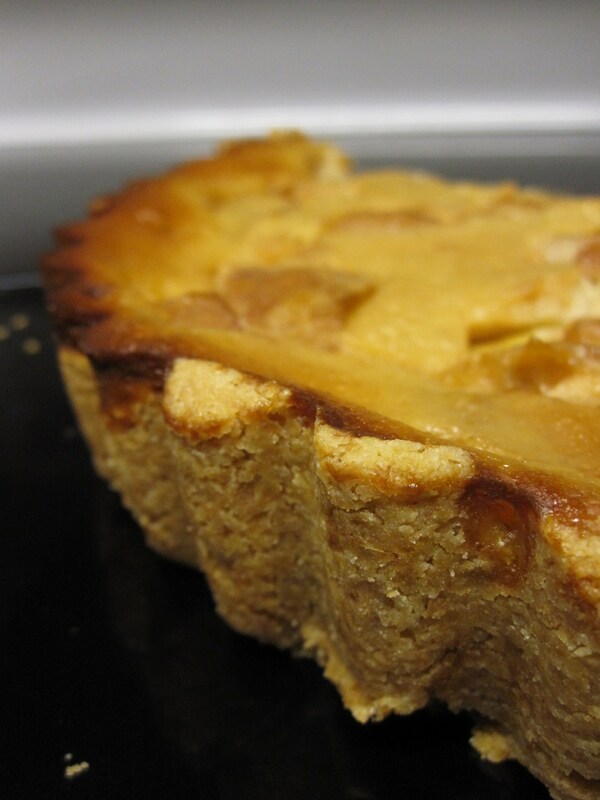 The crust only takes about 15 minutes to bake, so the tart itself comes together quite quickly. Preheat the oven to 400 and lightly grease a 9 or 10″ deep pie plate with coconut oil or butter. For the crust: in a large mixing bowl, stir together almond flour, salt, and coconut sugar. Add in melted butter or coconut oil, vanilla, and egg white, and stir until combined — I found it more fun and more efficient to use my hands at the end. Press the dough into the bottom of your pie plate of choice, poke the bottom a few times with a fork, and bake for 15 minutes. The crust should be lightly browned. Remove from the oven and let cool completely. For the custard: in a medium saucepan, heat the coconut milk over medium, until small bubbles begin forming along the egg whites. In a medium bowl, whisk together egg yolks, maple, tapioca starch, and salt. Slowly temper the eggs by pouring the hot coconut milk into the egg bowl in a thin stream, whisking constantly until all the milk is incorporated. Pour this whole bowl of goodness back into the pot that was previously holding the coconut milk, and cook over medium-low heat, whisking constantly, until the custard begins bubble and thicken (you’ll know. it’ll go from watery to thick enough that your whisk makes tracks). Remove from heat, stir in the vanilla, and let sit until cool. Give it a good stir, and store in an airtight container in the fridge if you made it ahead. Pour the custard into the completely cooled crust. Thinly slice 2 apples of choice, and drop them in a bowl of lemon water to prevent browning while slicing. In a small bowl, thin the raspberry jam with a few tbsp of water and lemon juice (I used the leftover from my apple-soaking water). 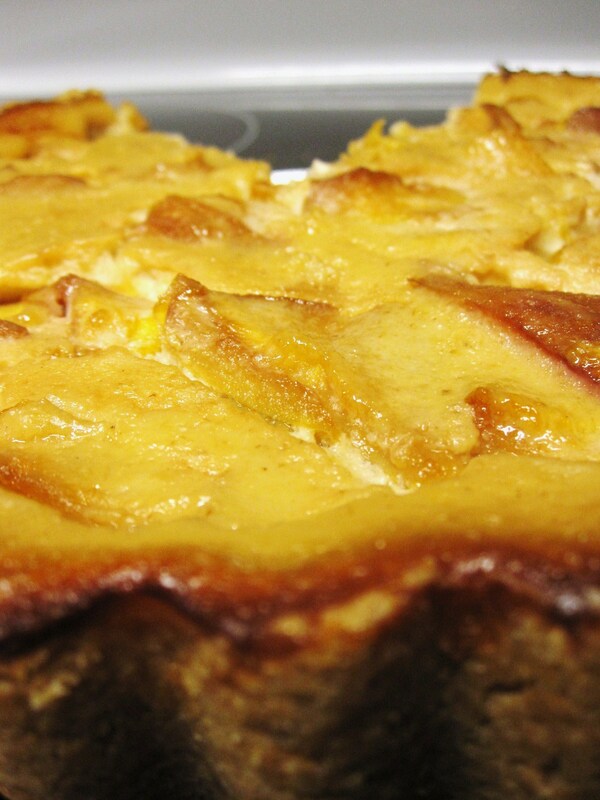 Fan the apple slices across the surface of the custard, brush with the raspberry jam mixture to prevent excess browning. Cover and refrigerate if not eating immediately! Keeps well overnight in the fridge, covered, but don’t expect it to stay in one piece! The custard is runny — best advice (and I definitely put this into practice) is to just eat it with a spoon, straight out of the pie plate. For breakfast! Keep any leftovers in an airtight container in the fridge. And there is no way this is vegan. Sorry I’m not going to be a teensy bit sorry… ever. Guys. 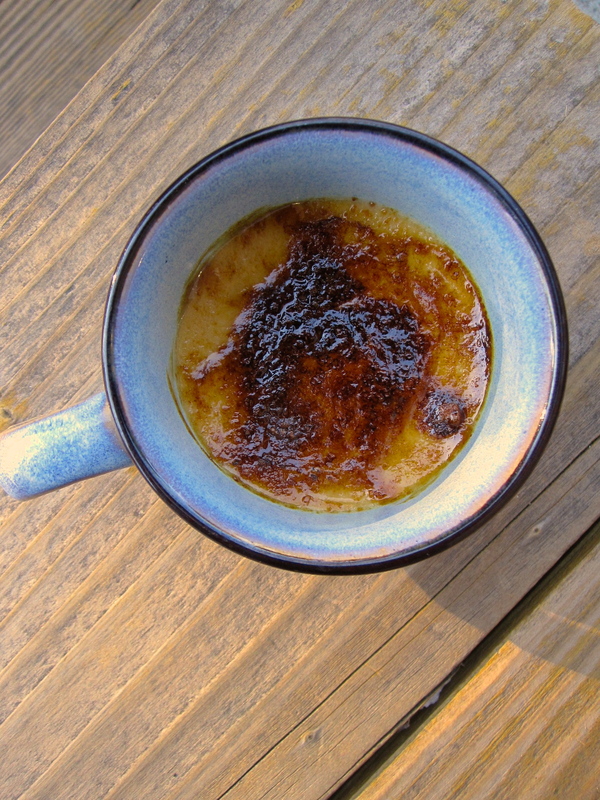 CREME BRÛLÉE. Please excuse all the capitals but really. I’m having an ecstatic moment that I actually made this. I kind of had some weird ingrained impression that creme brûlée was something fancy I could only get in a fancyschmancypants restaurant. You know, like how english muffins are mysteriously, perfectly english muffiny until you make them? Or maybe that’s just me. Whatever, anyway this is all beside the point as usual. 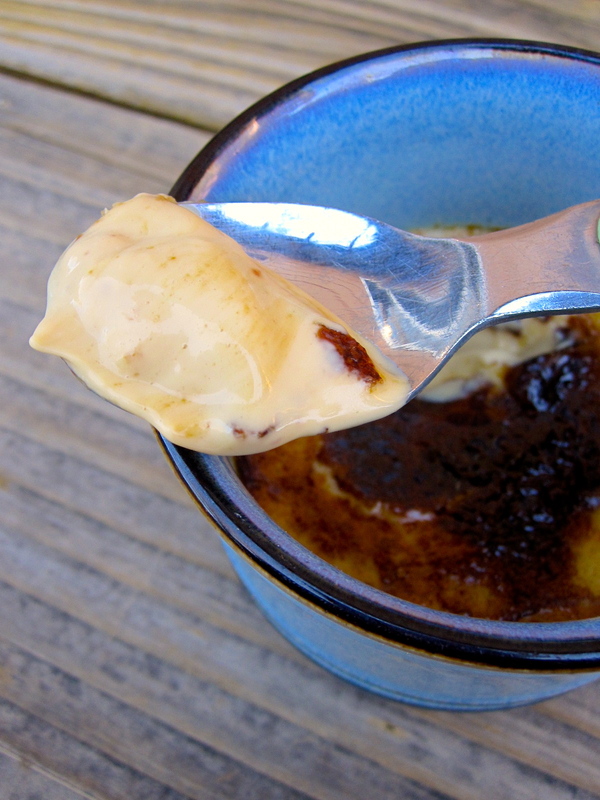 Point being, I used to looooove creme brûlée when I was a kid. I remember ordering a flight of them at the Ahwahnee in Yosemite when I was fairly little and being excited that it came in three flavors… and then realizing that I apparently still liked vanilla best. I’m a vanilla girl, don’t mess. Why tamper with something already so delicious?? 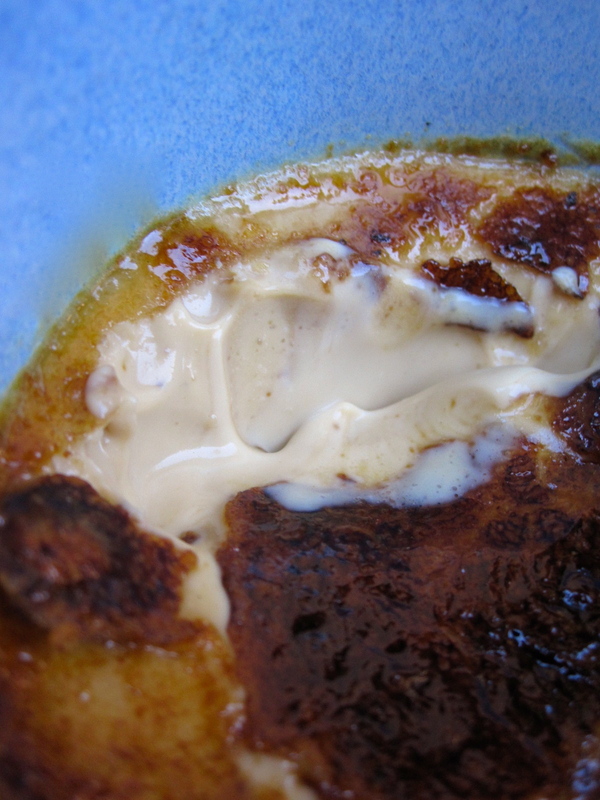 But anyway, I really don’t remember much creme brûlée in the intervening years. What was wrong with me?! And why haven’t I made this before now?? Not to give away any trade secrets or anything, but it’s actually relatively simple (as long as a water bath doesn’t scare you). And speaking of satisfying. This is made with nothing besides cream, egg yolks, and a bit of sugar and vanilla. Go ahead. Indulge yourself, because really—you’re worth it! Apparently I can’t get too far away from my attempt to bring at least a little healthy into everything—-this is technically refined sugar free! Wheee! It’s made with coconut sugar, which is lower in fructose (good), and which retains the minerals, short chain fatty acids, and antioxidants found in the coconut palm from which it comes (also good). Besides that, it’s delicious. 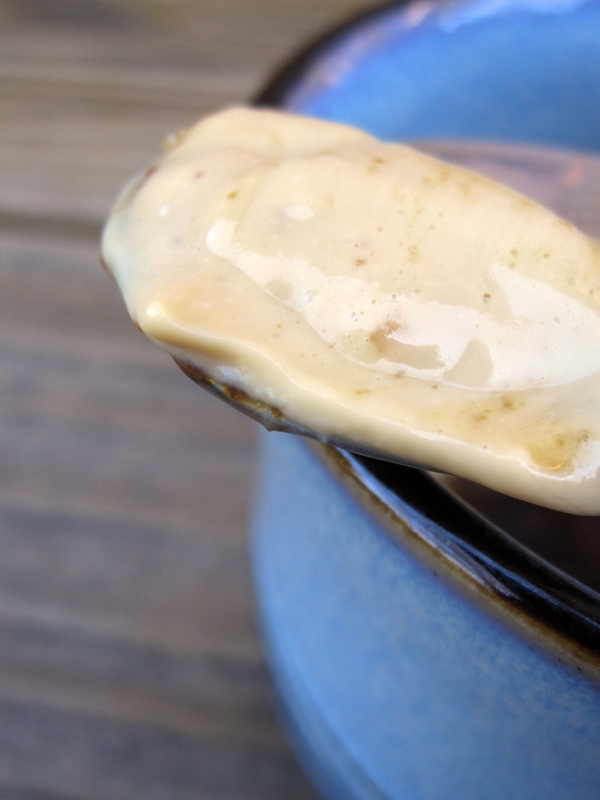 It tastes caramel-y and a little earthy to me, and goes spectacularly with vanilla. 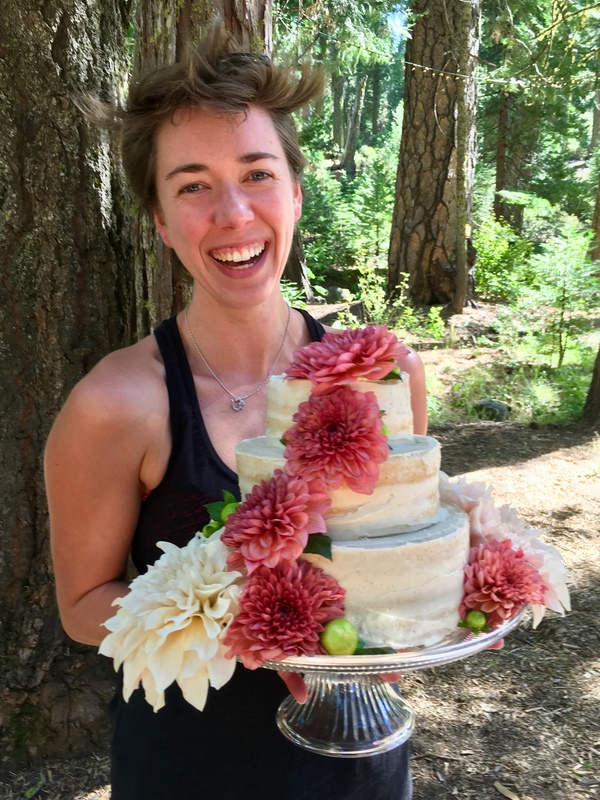 The awesome recipe came from Grain-Free Goodness, here! Makes six small ramekins. Preheat the oven to 325, and boil a medium saucepan of water (or use a kettle if you’re lucky enough to have one). You’ll need the water for the water bath, so makes sure it stays at a boil until just before you need it. Procure whatever you’re making your creme brûlée in—-I used three ramekins and three oven-safe coffee cups that were about the same size as the ramekins. You’ll also need a big casserole dish (or two) with deep sides. 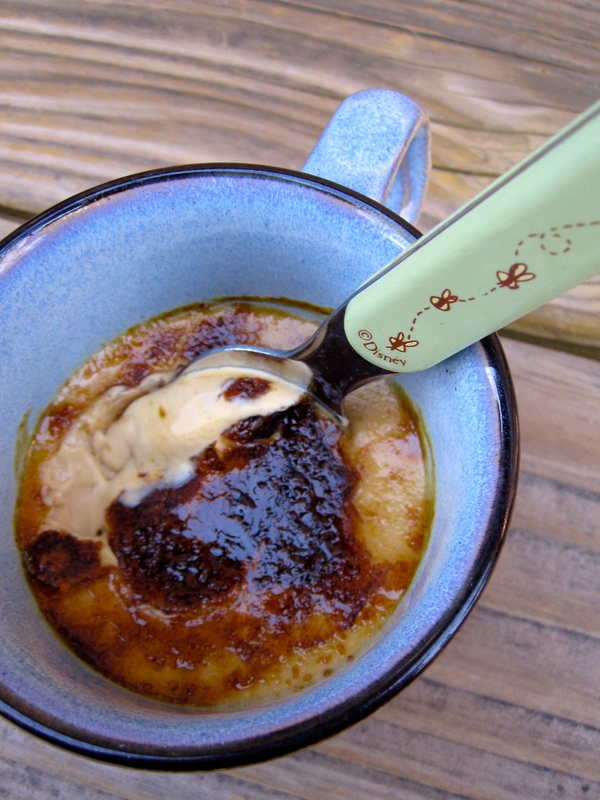 In a heavy-bottomed saucepan, heat the cream and the vanilla over low-medium (no higher! 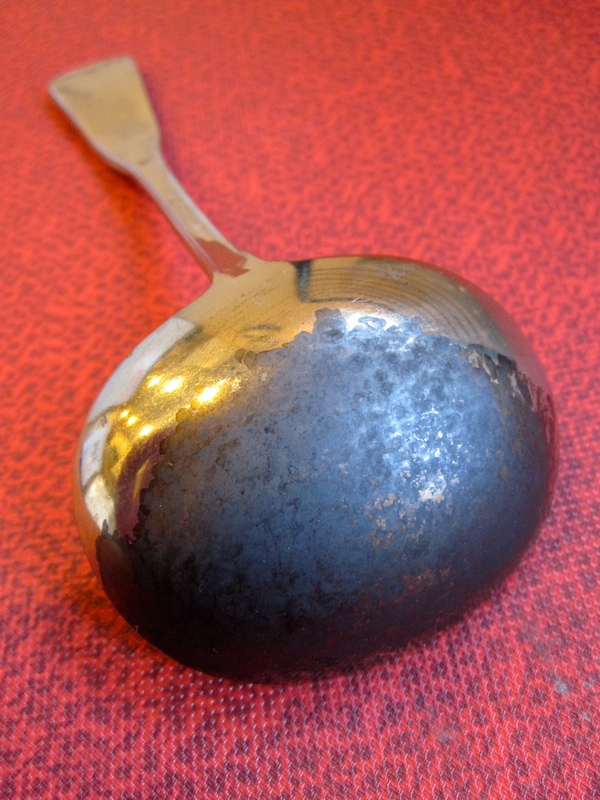 ), stirring frequently. You want it to come just barely to a simmer, but none of that scalding business– none of that! Once it’s just barely at a simmer, pour it into something with a spout, for ease of pouring later. While the cream is heating, beat egg yolks with the coconut sugar until creamy. It should lighten in color when the sugar is fully incorporated. With the mixer running, pour a small bit of the hot cream into the egg yolks, beating the whole time so that the eggs don’t cook. Keep pouring small amounts and beating them in, until all the cream is incorporated (once about half the cream has been added, you can add more to the eggs at each pour, since the eggs are already tempered). 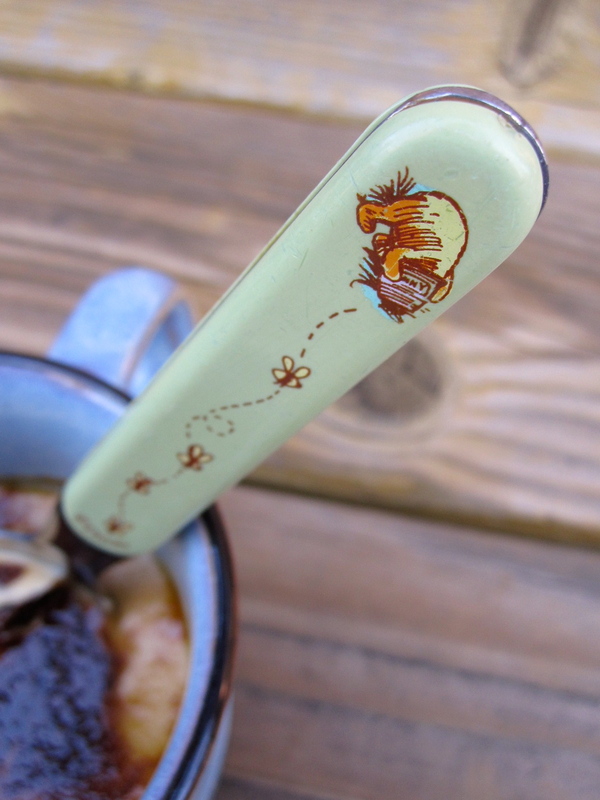 Skim the froth off the top with a spoon. Pour all this back into whatever pouring thing you used for the cream, and then pour equal amounts of it into the ramekins/cups of choice. Set all the ramekins into the casserole dish, and (CAREFULLY) pour the boiling water into the casserole dish, avoiding the ramekins (no one wants watery pudding). Make sure the water goes about halfway up the sides of your ramekins. Bake until custards are *just* set—-they should be jiggly in the middle, but not liquidy when you touch them. 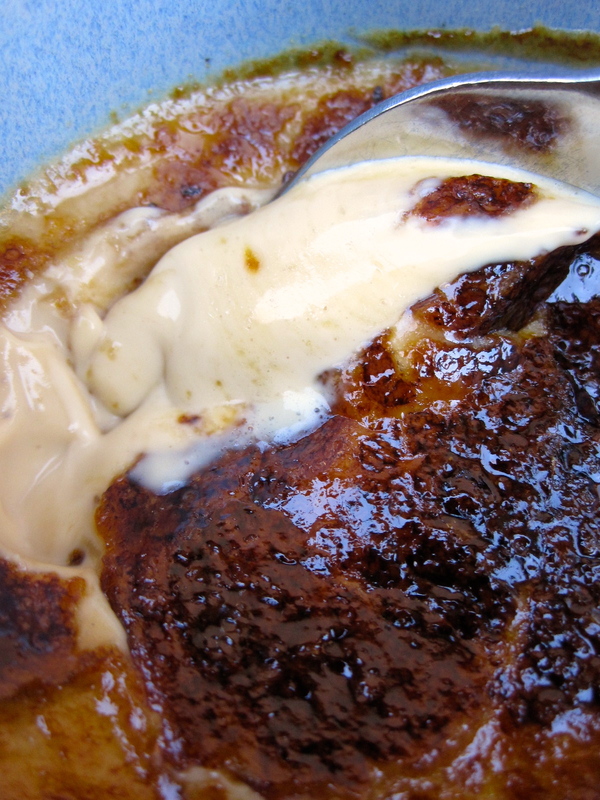 The surface should be set, with the jiggle happening just below a thin skin of set custard. They’ll set up quite a bit when they cool, so don’t worry if they’re jiggly—they’re supposed to be! No over-cooked custards around here… I baked mine for half an hour (the ramekins), and then 35 minutes for the coffee cups, which were a little deeper. Check them every five minutes after a half hour, just to be safe. Remove from the water bath and let cool on a cooling rack completely before covering in plastic wrap and chilling in the fridge. They should chill for at least several hours before serving (I did mine the day before I served them, as they keep well in the fridge for several days before you brûlée them). Eat immediately! These don’t keep for more than an hour after they’re brûlée-d, so do yourself a favor and get cracking! Hehe. to be eaten with a Pooh spoon, obviously.